If you really want to keep your skin healthy, then cleaning it is not an option for you. While most people understand the importance of this fundamental routine, just a few apply the right cleaning techniques. The use of soap for skin cleaning is a common mistake in the routine! This could be the reason you’ve always ended up with frustrations despite following a cleaning routine religiously. Your skin is highly sensitive and you need to select the soaps you use on it wisely. This article will enlighten you on the nature of your skin and why it is crucial to use a cleanser as opposed to your regular bar soap. Read on to learn more. Are soaps healthy for skin cleaning? Before we delve into analyzing why the use of soap for skin cleaning could be harmful, it is necessary that you understand the chemical aspects of your skin. This approach will shed more light as to why some soaps are bad for your skin. The skin is one of the largest and most critical homeostatic organs in your body. It protects the internal organs against external threats. Due to its difficult role, it has numerous adaptive features to enable it to perform its function. One of the adaptation is its acidic nature that is crucial in protecting the skin from deformities and microbial invasions. What is the pH of the Skin? The skin is slightly acidic in nature; it has a pH value of 5.5. Your skin management practices should always work towards maintaining this acidic level since its upset could lead to skin problems. Due to the crucial role that the skin plays on our bodies, there exists a mechanism to ensure that it operates optimally all the time. It has a thin layer called the acid mantle that is meant to ensure that the skin pH is protected. The layer is composed of sebum from the sebaceous glands, lactic acid, and amino acid. It ensures that the skin pH remains slightly acidic despite changes in the surrounding environment. However, the integrity of the skin is intact so long as the acid mantle is not disturbed. The use of soap for skin cleaning can disrupt this mantle leading to problems! What can Change the pH for my Skin? There are many reasons that can upset the acid mantle including the cosmetic products, soaps for skin cleaning, and exposure to smoke and sun. Also, the environmental pollutants can lead to the disturbance of the mantle. Here, we’ll look at how the use of soaps for skin cleaning can upset the acid mantle causing you problems on the body. 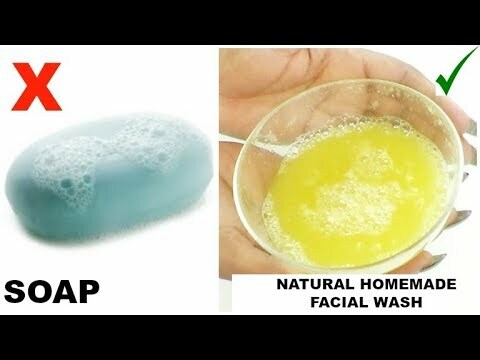 Use of Soap for Skin Cleaning: Is it Healthy? Well, the nature of the soap you use determines its effectiveness in cleaning your skin. Your soap should not be overly alkaline or overly acidic. 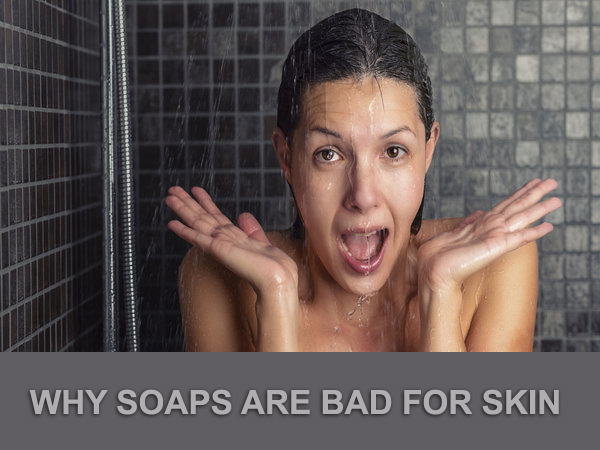 If you choose a soap with the two pH extremes, you are likely to experience problems with your skin. Most of your regular bar soaps are alkaline in nature. If you use soap for skin cleaning, it will offset the pH balance by raising the pH above the recommended levels. When the skin becomes too alkaline, it becomes too sensitive, dry, and scaly. Such a skin is at a heightened risk of developing wrinkles and sunburns. You should test the pH of your soap before using it. Ensure that it is not too alkaline or too acidic to maintain the acid mantle for your skin. The question that lingers in the mind of many people is; how come that an acidic soap can be harmful yet we need an acidic mantle for skin protection? Well, the answer is simple; the skin pH is slightly acidic at 5.5 on the pH meter. Exposing your face/skin to highly acidic environment results to too much acid on the skin which washes away natural oil which is crucial for maintaining an acidic mantle. Immediately the oils are removed from the skin, the body will react by producing more oil to cover the deficient. This makes your skin too oily thus increasing the chances of developing acne and blemishes. From the information above, you realize that not any soap will work with your skin. Avoid those soaps that are too acidic or too alkaline. If you’re not sure about the status of the soap, you should do away with it and instead use a cleanser. Why Should I Use a Cleanser? Unlike soaps that have pH values of 9-10, most cleansers have much lower pH and are thus gentler on your skin. Using a cleanser helps in maintaining your skin’s acidic mantle which ensures that your skin remains covered against the risk of dryness and acne development. Most of the cleansers are made of 2% salicylic acid which is helpful in opening up the skin pores and removing the dead skins. This leaves the skin hydrated, refreshed, and clean. If your skin is dry and sensitive, you should use cleansers that are specially designed for your kind of skin. These cleansers work by soothing and cleaning the skin making it supple and smooth. Also, cleansers that contain the right amount of vitamin C are ideal for skin that shows aging appearance. It works by removing excess oil which will keep your skin acne-free. The biggest mistake that you will make during the cleansing process is using excessive force. You should always be gentle during the entire process. Let your hands glide smoothly over the skin in regular patterns; massage it with upwards movements to ensure a uniform application of the cleanser. Leave the cleanser for approximately five minutes and then wash it off with plenty of water. When drying your face, ensure that you gently pat dry as opposed to scrubbing. How do I Regain my Skin pH? If you have used soap for skin cleaning in the past, it is likely that your acid mantle has already been disturbed. Avoid soaps. This is the most crucial recommendation. Soaps are highly alkaline and you need to stop using them if you need to restore the skin pH to normal. Instead, use soap-free skin wash.
Use toners. Alcohol-free toners are the best for restoring your skin’s acid mantle. We discourage regular use of soaps since they are too alkaline which could upset the pH balance for your skin. Instead, you should use cleansers which will help to preserve and restore normal skin’s acid mantle. Also, avoid substances that are too acidic since they can lead to overproduction of sebum and consequently to the development of acne. I am pretty lucky I can wash my face with pretty much anything but this made me think. I do want to do what is best for my skin. This is a good reminder for me to drink more water! That is good for whole overall health! Thanks for your post! Very informative! I always feel soap to be harsh on my dry skin! Very nice post. Very much informative. Great. I learned a lot about my skin from your article. Thank you for sharing. I use sensitive skin soap. I dont know if that makes a difference or not. I havent had any issues. I honestly never knew this about my skin. Thank you so much for sharing this. Any recommendations for skin cleansers? I have never used soap on my face and this confirms why. Thanks for a great article. I never wash my face with soap and this just confirms my beauty practices so glad to learn about pH balance. Great article…. I drink a lot of water everyday to keep myself hydrated and my skin glowing. Thanks for this excellent explanation! I’ve noticed a huge difference in my skin since I switched to a cleanser recommended by a professional. Great information! I use cleansing oil for my face, coz it also helps to moisturise. And facial wash dedicated for my needs. I usually use soap from Lush. I know it is expensive but I need it as my skin can react badly to generic soap and cleaners. This is a very helpful guide! Skincare has always been very important to me. Thank you for sharing! This is really helpful! I’m very particular when it comes to skin care as well! That is why I use tiege hanley for my face. HA! How do I love my face? Let me count the ways. I drink a lot of water. I eat healthily. I use sunscreen but I always use soaps and don’t use toners. From now on, will avoid using soap and will use alcohol free toners. Thanks for sharing such an informative post. Love your blog to bits.